There are multiple reasons why the extraterrestrial question continues to gain popularity. People are starting to ask questions about the world around them, utilizing critical thinking and investigative skills. After thoroughly looking into this topic, it seems inevitable that you will arrive at these conclusions: We are not alone, and we are being visited. Counting the stars in the universe is like trying to count the number of sand grains on a beach (impossible). Although estimates vary among different experts, the general consensus is that there are at least between 100 billion and 200 billion galaxies in our universe. Think about that for a moment, and now throw in billions of stars in each galaxy! (source) And for all we know, this number could very easily be in the trillions. 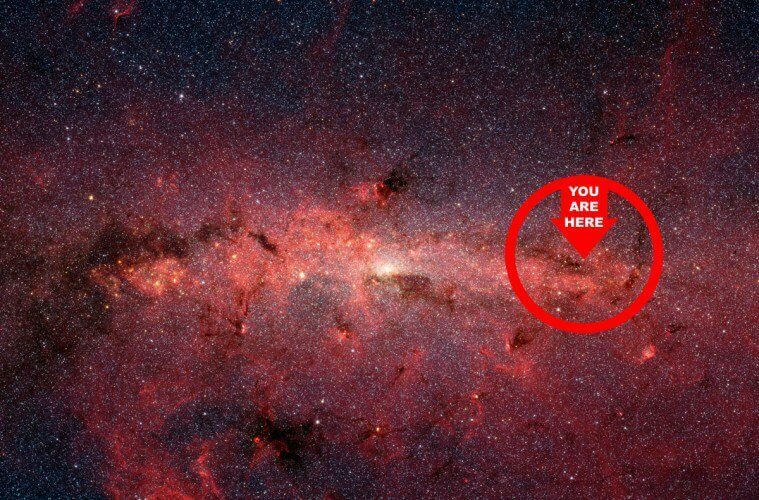 Take the Milky Way Galaxy for example, which measures about 120,000 light years across (it would take light that many years to travel across the galaxy), and contains up to 400 billion stars. The past few years have seen a surge of whistleblowers come out and say some pretty remarkable things. Bradley Manning, Edward Snowden, and Julian Assange have received the most attention, but the reality is that hundreds of whistleblowers with verified credentials and backgrounds have come forward. Mass surveillance and the security state are not the only things shocking people around the world, it’s also the fact that many of these whistleblowers claim that we are not alone in the universe. They wouldn’t be so hard to ignore if it wasn’t for the backgrounds these people have in their respected fields. The first one that comes to mind is Paul Hellyer, Former Canadian Defence Minister, the man responsible for combining the Canadian Air Force, Army, and Navy into one united force, now known as the Canadian Forces. Someone with such a background coming out and making these extraordinary claims is definitely going to have the attention of many people. The list goes on and on, the latest in NASA Astronaut statements about UFOs came from the 2005 International Space Station (ISS) Commander, Leroy Chiao. Some of the most extraordinary statements about UFOs and extraterrestrials come from people who have held some of the highest positions possible — those who would be in a position to ‘know’ about possible extraterrestrial encounters. The list of military whistleblowers is huge, there are hundreds of them and hundreds of quotes to choose from. To view military whistleblowers (with verified backgrounds) give a press conference at The National Press Club about UFOs deactivating nuclear weapons, click HERE. You can also look up Dr. Steven Greer and the disclosure project. The list of quotes from many people, working in diverse fields, is outstanding. I could literally fill pages upon pages, but I’ll stop here, I think you get the picture. I do, however, want to spend a little bit more time on the reason why almost everyone knows that we are not alone in the universe. Over the past few years, dozens of governments have admitted to allocating resources towards the study of UFOs. For instance, in Canada, the RCMP, Transport Canada, and the Department of National Defence recently admitted to tracking and investigating UFOs. (source) They’ve been doing it for years, accumulating thousands upon thousands of UFO related documents. Many of these documents have since been officially released. HERE is a Wikileak cable that describes how some politicians already know we are not alone in the universe. Media outlets of all kinds are covering the topic, almost every movie that comes out these days has something to do with space or some kind of extraterrestrial intelligence. We’ve been bombarded with the topic for a while now so it’s not hard to see why so many people are thinking about it. 2008 presidential candidate and former Sen. Mike Gravel (D-Alaska) said that there is “an extraterrestrial influence that is investigating our planet. Something is monitoring the planet and they are monitoring it very cautiously.” You can learn more about the citizens hearing here. Besides the thousands of videos available on YouTube, there is some very fascinating officially documented UFO footage available for us to see. HE RE is a video that made headlines when it was released. It came straight from the Mexican Air Force. Do a quick UFO search on YouTube and, while you’ll see many fakes, you’ll also find many genuine videos of unknown aerial objects. It’s nothing to fear, in my opinion they’ve been around forever. They were aware of us long before we became aware of them. As speculated with our ancient civilizations in Earth’s brief past, perhaps they will one day interact with humanity again. I guess we will see.